Spanish Panama Spanish school has numerous Programs such as regular or immersion Spanish classes with tourist options. We do “1 to 1” or group courses. We can even send teachers to your business office for Business Spanish. At Spanish Panama, we have many options. 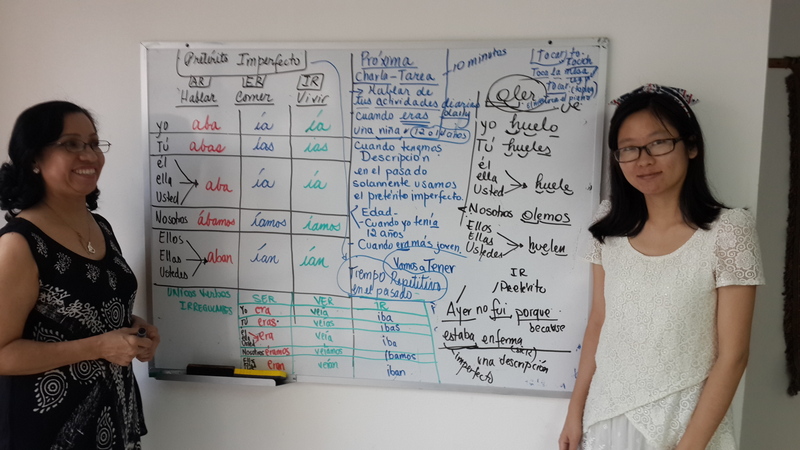 Would you like small group or a private Spanish course? You may do a regular course or immersion (1-1 or small group) program. 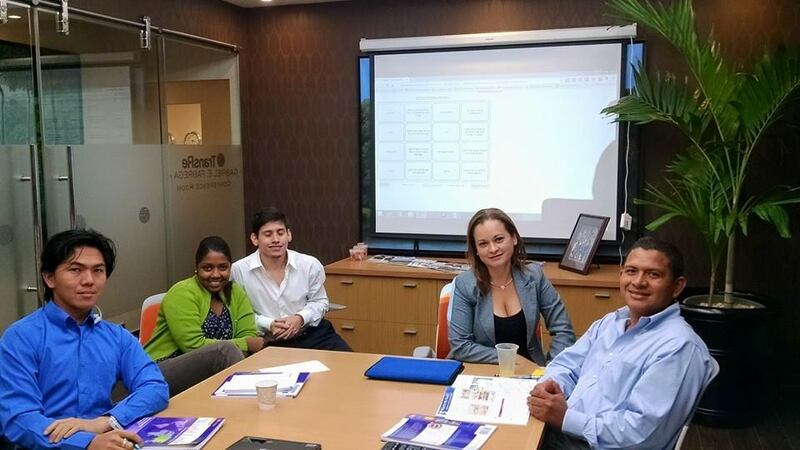 We have high rated Business Spanish courses for Business executives at offices in Panama City. Whatever your needs are, we have the best rated Spanish programs. Please note that an initial deposit of $100.00 is required for all Spanish programs and an advance payment of 50% is required before the start of classes and the other half a week before the middle of the program. 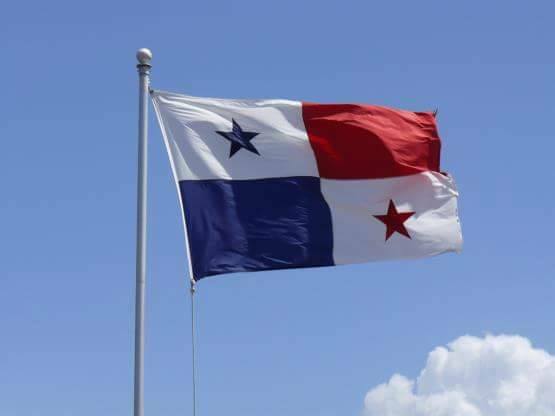 Spanish Panama does not ask for any enrollment fee or other “hidden fees”. In our intensive Spanish immersion Programs of 4 hours a day, we include airport pickup and transfer to your hotel accommodations, as well as salsa dance classes and city tour. There’s a 10 minute break included in each hour of class, a good time for you to relax, to have a complimentary coffee, and to meet others in the school’s social terrace. 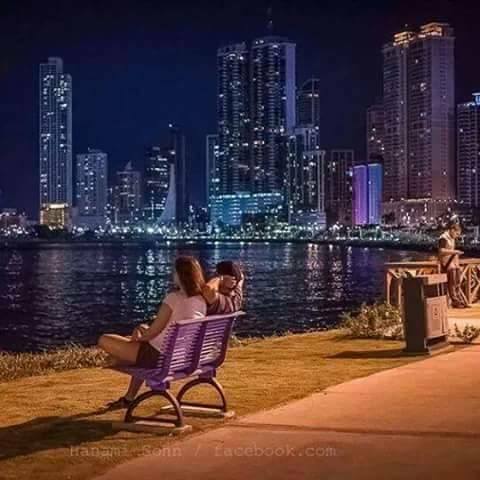 We have a great city view overlooking Via Argentina, the best place for expats in Panama City. We are Central America’s most personalized Spanish school! Spanish Panama Language school has many personalized Spanish Programs with private or group classes. 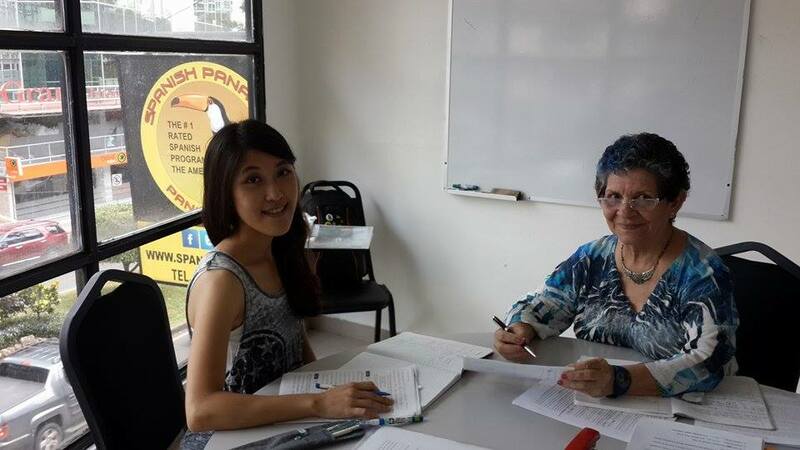 Spanish Panama Language School has a perfect Spanish learning experience, personalized and private, yet open and friendly, if that’s what you prefer. 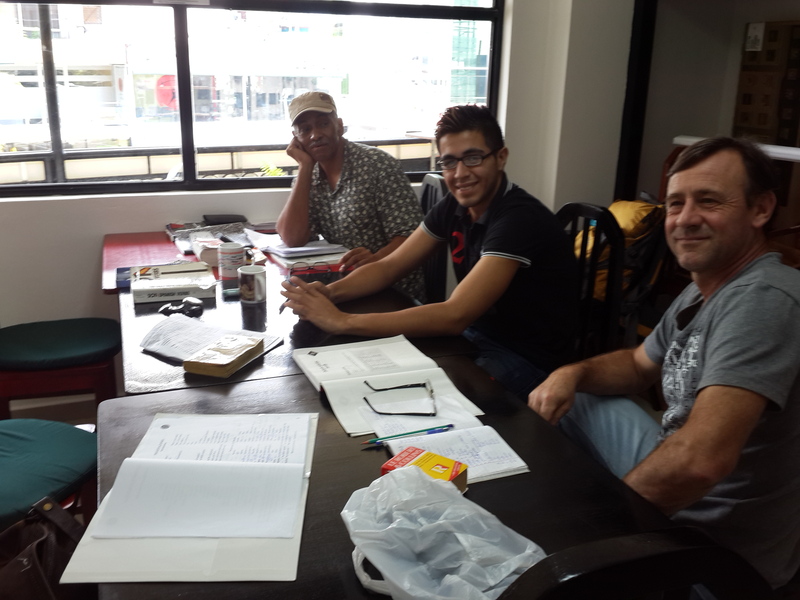 Our teachers are a great source for your Panama cultural education as well as motivating to help you learn Spanish. Some teachers are book publishers and some pertain to professions such as real estate, tourism, and law as well as visual arts and education. 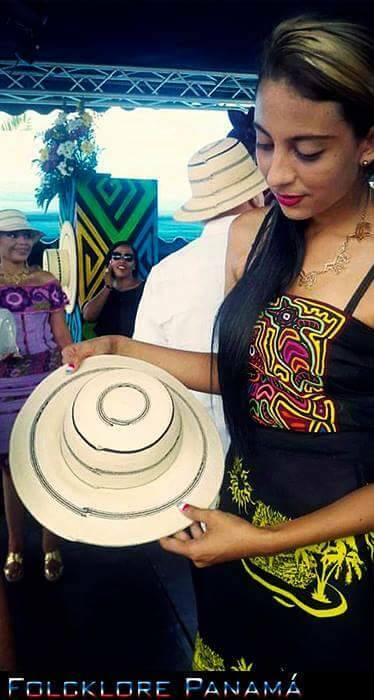 We even have an expert in the national dress of Panama, the Pollera! 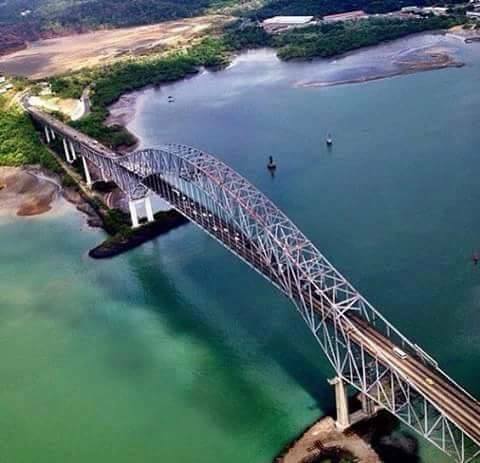 You will leave Spanish Panama Language School with an in-depth understanding of Panama and its language. 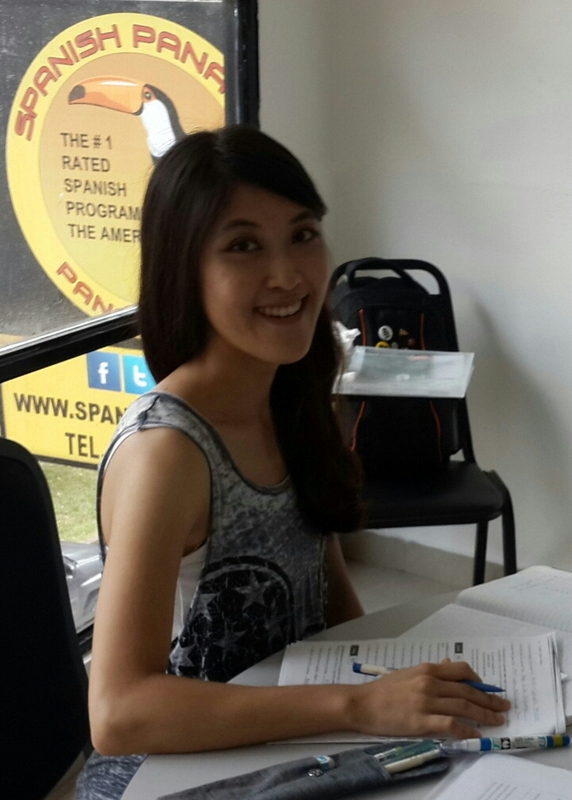 Learn Spanish at Spanish Panama Language School while touring Central and Sourth America. 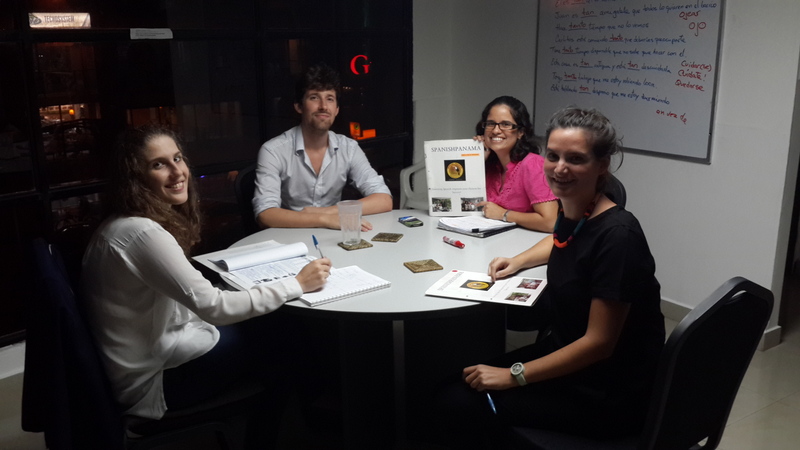 Learning Spanish at Spanish Panama definitely increases your chances for social and financial success in Panama & South America. Many of our students learn Spanish career advancement here or in the United States, Canada, Europe and Asia. And, of course, students choose us to have a great time! Group Spanish classes morning, afternoon, or night. 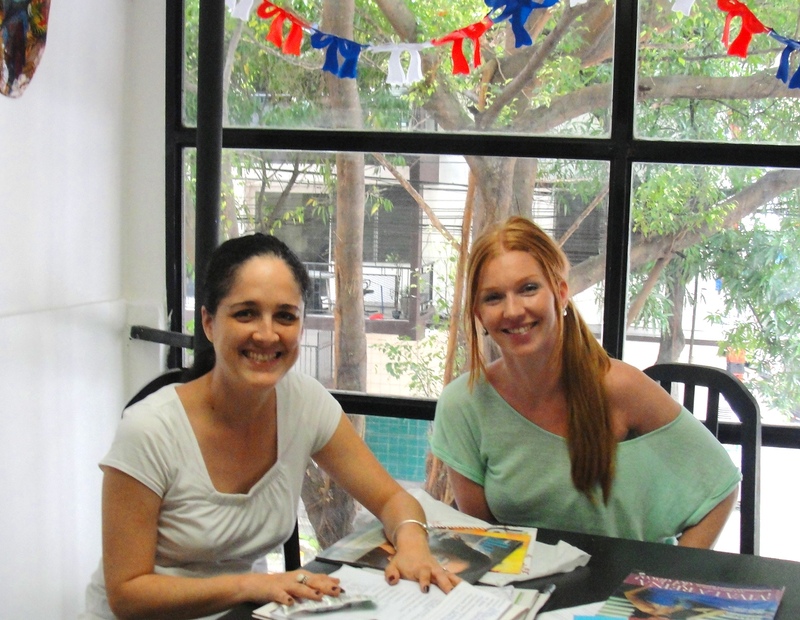 Spanish Panama Language School’s Spanish immersion Programs in Panama City, Panama.